ISG series single stage single suction piping centrifugal pumps are smartly designed on the basis of ordinary vertical pumps jointly by our scientific and technical personnel with pump experts at home. 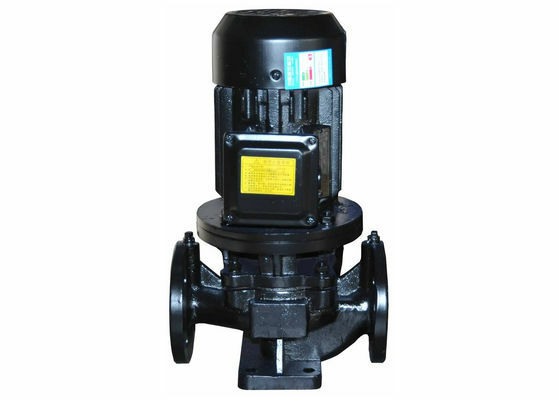 They use domestic advanced hydraulic model and the performance parameters of IS centrifugal pumps. 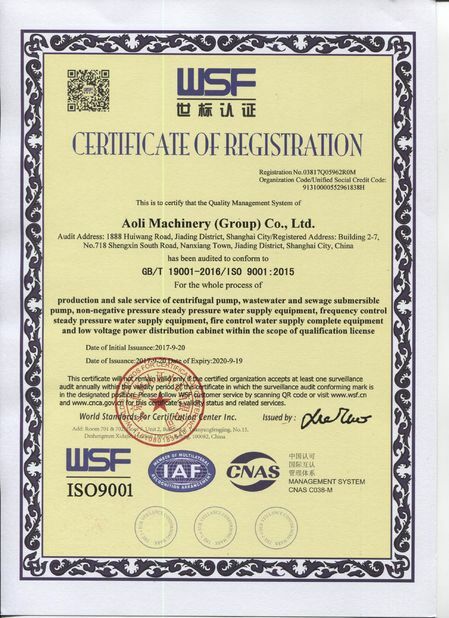 According to the difference in service temperature, medium and conditions etc..there have been hot water pumps, high temperature pumps, anticorrosion chemical pumps, oil pumps, explosion-proof chemical pumps and low speed pumps derived from ISG. Featuring high efficiency, energy conservation, low noise and stable performance etc., this series of products conform to the latest standard of JB/T53058-93 issued by Ministry of Machinery, P.R. China and are designed and manufactured to ISO2858 standard. ISG vertical piping centrifugal pumps are used to handle clean water and liquids similar to water in physical and chemical properties. They are applicable to industrial and city water supply and drainage, pressurized water supply in high-rise constructions, garden irrigation, fire-fighting pressurization, distant transportation, heating, ventilating, refrigeration circulation, and bathrooms for cyclic pressurization of cold and hot water, and other equipment. 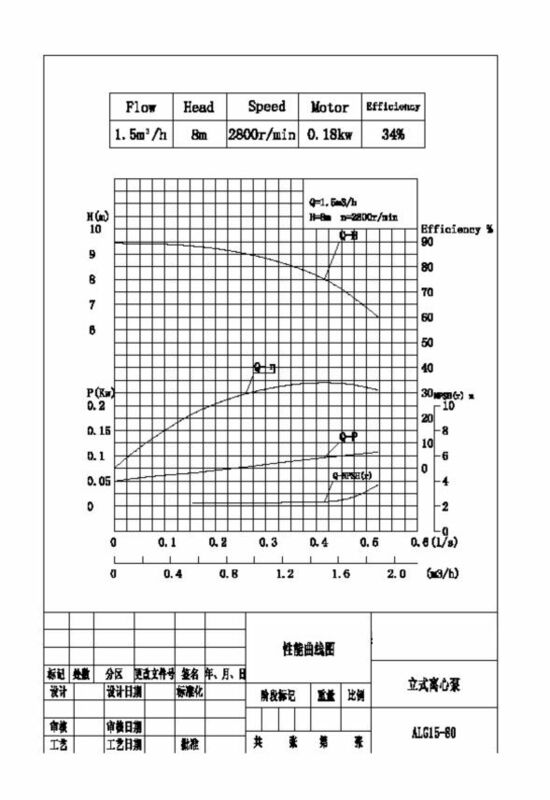 Service Temperature T＜80℃. 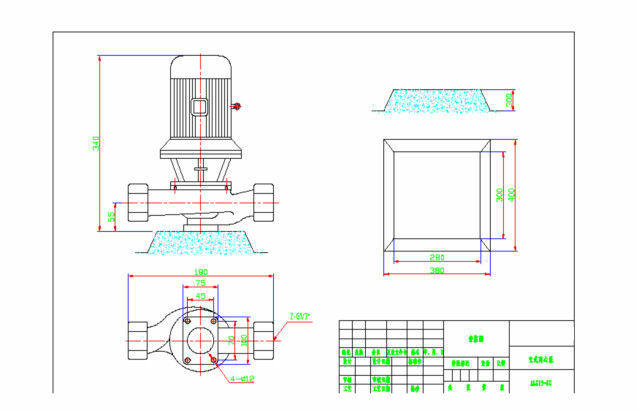 1, Vertical structure, inlet and outlet given the same diameter and located on the same centerline, to be mounted in pipeline in the way as a valve, compact and smart appearance, little floor space required, low construction cost, and to be used outdoors if provided with a protective cover. 2, Impeller directly mounted on the extended shaft of motor to feature short axial dimensions and compact structure. Pump and motor bearings reasonably configured to effectively balance the radial and axial load in service, thus to ensure smooth operation with little vibration and low noise. 3, Use of mechanical seal or mechanical seal combination for shaft seal, sealing ring made of imported titanium alloy, medium-sized high temperature resistant mechanical seal, and wear resisting seal made of hard alloy to effectively lengthen the service life of mechanical seal. 4, Easy installation and maintenance, with no need to dismantle the pipeline system. And all the rotor parts may be taken out only by taking off the nuts on pump union base.